Cities and he bounced back with a solid 6-inning performance with the Class A Wisconsin Timber Rattlers. 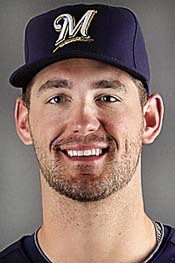 Hellweg worked 6-innings, allowed 2-runs on 6-hits with 4-strikeouts in the Timber Rattlers 6-2 win over Lake County on Sunday. Hellweg will now get a few days off with the all-star break to spend time with family before his next assignment. That could mean a return to Milwaukee, or it could mean more appearances at one of the Brewers farm clubs. Wisconsin Timber Rattlers manager Matt Erickson thought Hellweg performed well in his 6-inning stint.